One the 12th-13th of March, 15 sections came together as the 27th National Platform of ESN Lithuania began. Organized cooperatively by ESN KK and ESN VU KHF. With the plenaries and workshops being held in VU Kaunas Faculty of Humanities. Among other things, this NP was focused upon the reports of the National Board members, National Coordinators, National Committees and of the sections themselves. On the first day of the Platform they saw the reports of Eduk8 Starter participants, "Colours of Lithuania", CNR Jyvaskyla and the National Board. The day came to a energetic end as ESN ISM and then ESN ŠU presented their candidacies for the OC of NP'28. And finally the evening was a part where all faces began to fade, as the night brought on the Masquarade. An evening part with many games and a wonderful performance by the OC. On the second day of the Platform. For the second time at a Platform of ESN Lithuania an infomarket was held to present the sections, where everyone got a chance to get up and personal, meet face to face and learn all they could want about other sections and share gadgets with eachother. The votings decided ESN ŠU as the OC for the next platform and "Go Xtreme" as a National Event. On 25th-26th April ESN Lithuania newbies as well as advanced members enjoyed the sunny spring weather while participating in the national trainings called “Survival KIT Vol.3”. 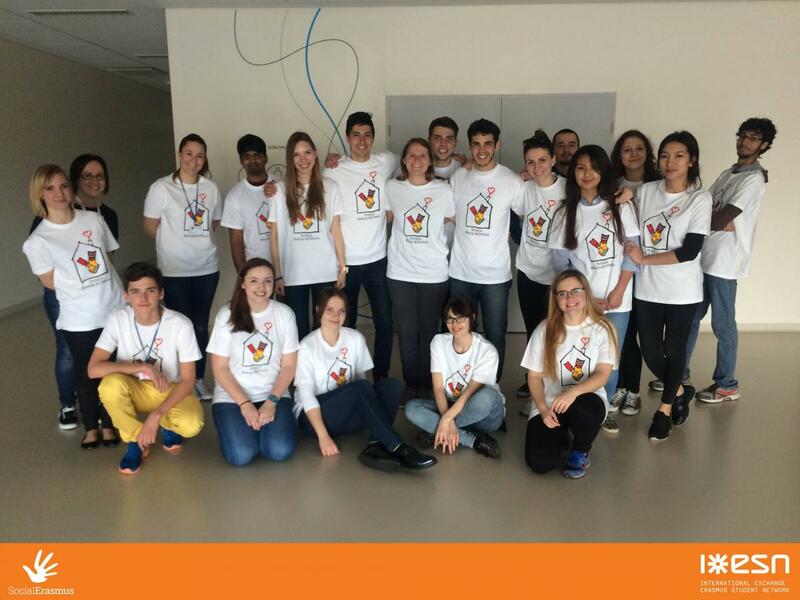 It was organized by the ESN KK and HR Committee and held in Kaunas kolegija/University of Applied Sciences. We are glad to announce that productive and interactive workshop sessions were conducted by even four ESN international guests who shared their knowledge and experience on leadership, motivation, interculturalism, and creativity. We were excited to welcome IB-elect Communication Manager Gaffar Rampage (ESN Communication Committee, ESN The Netherlands) participating in the 2nd ESN Lithuania national event. He was a facilitator who gave a short theoretical presentation on communication, its means, purpose, and types. Having gone through that, ESN members had an opportunity to apply the theory into practice. Thus, the specific skills and knowledge were gained through the interactive activities. Another facilitator Kenny Ho from ESN Ireland shared his experience of five years volunteering with the advanced level members. We held a discussion about self-development taking into consideration our success and failures, strengths and fears. Also, we tried to figure out how to motivate ourselves and others, how to avoid or solve various problems within the local as well as national levels. In addition to that, another workshop provided by Kenny was about job interviews and filling in CV. He engaged students in some discussions and activities that lead to a better understanding how to succeed in applying for a job. Other two guests, Magda Jarmołowicz from ESN Poland and Thibault Pean from ESN France, were facilitators for the newbies. They dealt with the relevant issues like motivation, interculturalism, and creativity. Magda went deeper into the ESN as a non-profit association that provides plenty of opportunities and volunteering benefits. Also, members participating in her workshop analysed some situations and tried to find the means for enhancing motivation. Thibault emphasised significance of the topics about people differences and stereotypes of cultures. Engaging in creative activities, students made themselves sure once again that we should not judge a book by its cover. We should pay more attention to people’s characters and personalities and should not form an opinion about them from their sexual, religious, or political orientation. Having worked a lot, students had fun responsibly at the “Responsible Party”. The members who took part in the trainings received a certificate and gained valuable experience which hopefully will be spread throughout the ESN Lithuania sections. The newbies and advanced members improved their knowledge on different topics and they were greatly empowered to seek for more. Find the picture gallery on Facebook.